Dipesh Pala is the Asia Pacific Agile Capability Leader for IBM. In addition to leading IBM’s transformation journey to grow the Agile capability across this region, Dipesh pursues his passion for enabling organisations of all sizes to optimise solution delivery through the pragmatic use of Agile, Lean and traditional methods. His diverse background includes delivery roles in Software Engineering, Project and Portfolio Governance, and Agile Consulting across a variety of industries. Over the last decade, Dipesh has helped organisations and project teams across many countries to continuously improve and find better ways of working. As an on-the-ground Agile Consultant, he has been instrumental in rolling out Agile at scale in many organisations, and is currently coaching and mentoring today’s Managers and Executives to become the Agile Leaders their teams need. 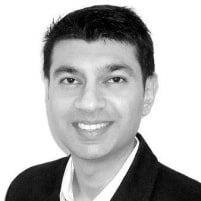 In addition to being a top-rated speaker at industry conferences and seminars, Dipesh is also a seasoned facilitator who is able to drive out the best outcomes from any project-based or strategy workshops. Many organisations draw upon his extensive facilitation experience to plan and run Agile project workshops to increase participation and embrace collaboration. A keen advocate of simplicity, Dipesh offers simple, practical yet powerful ways to address the challenges team members and managers in Agile environments face today. He continuously pushes individuals and teams beyond the practices and principles to take a step further into their Agile journey. Are you interested in succeeding with Agile in large, complex distributed development projects? Being Agile in a distributed environment has been a subject of controversy over the years, which is not surprising given the importance placed on face-to-face communication in the twelve principles of the Agile Manifesto. This workshop will address the opportunities, challenges and concerns that are commonly faced by organizations in keeping to this manifesto when their Agile teams are geographically distributed. Agile teams need to work together very closely as cross-functional teams, instead of silos with hand-offs after long project phases. Agile teams also need to engage customers and stakeholders frequently to ensure that they are meeting customer needs, adapting to changing requirements and delivering high-quality software. The transparency inspired by Agile makes any challenges related to this level of daily communication, collaboration and teaming, painfully obvious to teams and individuals. However, many large-scale and distributed Agile teams are successfully and boldly rising to meet the challenges with great success.What makes the difference between thriving versus just merely surviving? In this session, we will explore how organizations can create cultures, nurture individuals, and build teams to create high performing Distributed Agile teams in a globally competitive world. Dipesh will also share some innovative ideas in addition to tricks, tips, and proven methods that have inspired and helped people and organizations to 'be Agile' rather than just 'do Agile'. The Agile Manifesto puts more emphasis on individuals and interactions over processes and tools and we want to keep it that way no matter where they are! Bring your greatest distributed teaming challenges and and be ready to be inspired during this active and engaging session. One of the keys to a successful enterprise agile transformation is the support of Executive Leadership, which is more than simply providing approval. The Agile Executive enables, empowers and engages rather than controls. According to one recent survey, more than one in three organisations claim that the lack of Executive Leadership engagement within their businesses is plaguing current journey towards sustainable organisational Agility. Awareness of the above principles is important and may sound simple; however turning the awareness of these elements into the inner workings of our daily routine takes discipline. With that in mind, all attendees will also be given ‘The Agile Leaders Checklist' that will assist them in making such behaviours habitual. If you are an Executive or a Leader of an Agile team, this session will provide clear implications for where to focus your efforts in order to unleash the full potential of Agile methods to gain a competitive edge. You will be inspired by knowing what serves to catalyze and nourish progress – and what does the opposite. Once upon a time, Martians and Venusians met, had happy relationships together and accepted their differences to work towards delivering a project. Then came Agile and amnesia set in! ScrumMasters and Product Owners forgot they were from different planets. All of a sudden, Product Owners, ScrumMasters and the team members found themselves sitting around a table discussing user stories and potential solutions. This unprecedented access and communication created a whole new set of challenges… Sometimes it feels like our team members are from different planets, as if one is from Mars and the other is from Venus. You may have heard of Mars and Venus in the bedroom but this presentation will be talking about Mars and Venus in the team room. Based on my many years of experience in coaching and working with people in these roles, this presentation will describe why and how ScrumMasters and Product Owners react differently to various situations in a team room. The key is in understanding how ScrumMasters and Product Owners think and operate. And if ScrumMasters and Product Owners are from different planets, does it make sense for the two roles to be performed by the same person? Or does every Agile team even need both of these roles? Attend this talk to find out! This talk will further explore how we can counteract the differences in the communication, the emotional and the business needs of the two roles, and tips and techniques to promote a greater understanding between these two of the most important roles in any Agile team. Breaking up User Stories can sometimes be as painful as a relationship break up - but it does not have to be like that! Our experience has shown us that the key to getting full benefit from introducing Agile is in how the project work is broken up. When it gets difficult to see how to write small enough user stories, teams often resort to technical story cards. While this can give the team visibility of the work that is being done, the business is not seeing potentially implementable product, or early delivery of business value. This talk will dig a lot deeper to expose the real reasons for splitting up user stories and not just talk about doing it as a good practice - we must BE Agile not just DO Agile! Using real-world examples, this talk will also offer a set of guidelines and some unconventional ways for breaking up larger chunks of work into valuable user stories that can help Agile teams become more successful.